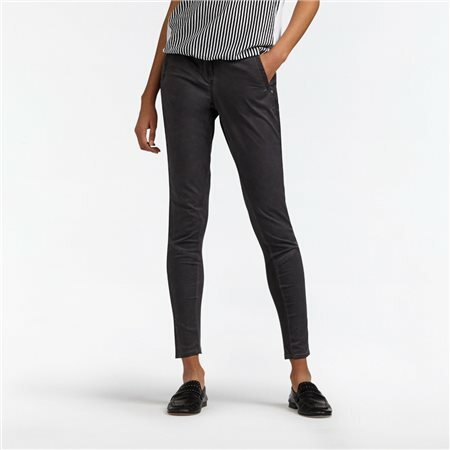 Every woman needs a timeless pair of skinny trousers in her wardrobe. These trousers have various partial seams, two inset pockets and two back pockets. The special wash gives these trousers a vintage look. Both side seams are embellished with piping. These versatile dark grey trousers are the perfect foundation for creating both smart and casual looks.